The hot PC sci-fi real-time strategy game Perimeter: Emperor's Testament has been added to the GiN Prize pool, courtesy of our friends at Paradox Interactive. Being in the prize pool (which can be found under the subscription link above) means that each week, one lucky subscriber to the GiN newsletter can win it, or any of the other prizes listed. 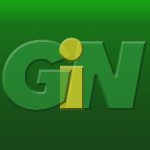 As always, a subscription to GiN is free, so anyone and everyone can be a weekly winner. "There is nothing we like more than giving away great prizes to our readers," said GiN Publisher Nate Wooley. "And Perimeter is one of those games that everyone is going to love." Featuring 25 single player missions, the game features awesome graphics and strange alien worlds, where your technology is all that stands between you and oblivion. GiN And iZ3D Announce 3D Monitor Giveaway!